The highest award the Society can bestow is that of honorary membership which is only given to very special people who contributed significantly to the Society and histamine research. Click on a name to view member's details. Anita Sydbom studied Chemistry, Zoology and Microbiology at the University of Stockholm, graduating with a Batchelor of Science in December 1966. She then began her life-long association with the Karolinska Institute working with her scientific father and mentor, the late Professor Börje Uvnäs. 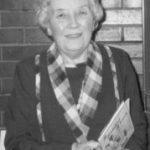 This was a very fruitful collaboration and she obtained her PhD in 1982. Her thesis was entitled: Anaphylactic histamine release from isolated rat mast cells: Pharmacological and methodological studies and several honorary members of the EHRS wrote to her congratulating her on this fine piece of work. The slight delay was caused by the birth of three of her four children during her PhD studies! She continued her research in the Karolinska Institute, starting another long-term collaboration with Sven-Erik Dahlén and also taught pharmacology. In 1989, to further her career she started studying medicine and discovered another passion, helping patients. She has continued with this dual role of working as a researcher and a medical doctor. However, Anita never makes things easy; her clinical work is in Funäsdalen a mere 568 km north of Stockholm! 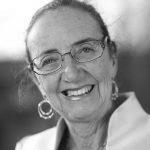 Anita has been a member of the EHRS Member since 1979 and participated in 34 meetings and presenting her research, only missing a very few meetings due to illness or pregnancy. She has held many positions of responsibility within the society: 1983-1984, 1989 Vice National Secretary, 2003-2006 Council Member, 2006 - 2012 President of the EHRS, 2012 - 2013 Past President of the EHRS and she took over as President in 2013/2014 due to the serious illness of the President, Paul Chazot. In 2008, she organized the Stockholm EHRS meeting. Anita is also a great poet and singer. She has been updating the EHRS anthem annually since 1990 and since 1988 has written a special song for each of the meetings and is also a great photographer making sure that the society has a photo of every member attending the meetings. Bruno Mondovì graduated in Medicine at the University of Rome," La Sapienza " in 1951. He was Professor of Applied Biochemistry at the School of Pharmacy, University of Rome until 2003, and then became Emeritus Professor the following year. He was elected as the Dean of the School of Pharmacy, University of Rome (1981-1998) due to his excellent teaching, as well his kindness to people. Bruno attended the first meeting of this society in Florence in 1975 and has attended many of our meetings as well as organising an excellent EHRS meeting at Nemi, Rome in 2000. Additionally Bruno Mondovì is an outstanding biochemist who has worked with organic compounds, both isolating and purifying them but always bearing in mind their biological functions. Such is the case with copper and copper enzymes. Bruno Mondovì's research on amine oxidases, started many years ago, (Mondovì & Finazzi Agrò,1982: Structure and Functions of amine oxidases, Adv exp Med Biol,148:141-153 ) and is summarized in the very recent book 'Copper Amine Oxidases', Floris & Mondovì, (2009). This book describes the structure of the enzymes, the role of copper and of the cofactor 6-hydroxy-dopa quinine, and covers the difference between amine oxidases from bacteria, plants as well as mammals and examines the importance of this ubiquitous class of enzymes in physiology and metabolism of biogenic amines. Bruno also wrote about the roles of polyamine oxidases and cancer, and of the role of enzymes (catalase; superoxide dismutase) in the defence from the oxidative stress. Histaminases break down histamine and free radicals are histamine releasers. This illustrates his linking of biochemistry to medicine. Bruno Mondovì has also previously been awarded Academic Honours such as the International Prize Wilhelm Konrad Roentgen for oncology in 1985 and Feltrinelli Prize for Medicine in1988. Professor C.Robin Ganellin obtained a first class Honours Degree in organic chemistry from the University of London (Queen Mary College) and in 1958 he was awarded a PhD under the supervision of Professor Michael Dewar. Then Robin joined Smith Kline French (SK&F) as a medicinal chemist, and from 1966 collaborated with Sir James Black and led the chemical research for the discovery of the H2-receptor antagonists. The role of Robin in this discovery was huge. It was Robin’s understanding and application of physical organic chemistry that led to the design and sequencing of drugs from burimamide, to metiamide and finally to cimetidine (Tagamet®), which has revolutionised the treatment of peptic ulcer disease. Robin was also involved in the design of other histamine ligands such as oxmetidine, zolantidine and temelastine. Robin was instrumental in establishing the use of the agonists dimaprit and impromidine, and identified compounds for use as chemical controls in histamine pharmacology. Robin is noted for being a scientist who has an idea, concentrates on it and then finally comes up with the solution. He subsequently became Vice-President for Research at the company’s Welwyn facility. In 1986 he was awarded a DSc from London University for his published work on the medicinal chemistry of histaminergic drugs, and was made a Fellow of the Royal Society. He was then appointed to the SK&F Chair of Medicinal Chemistry at University College London, where he is now Emeritus Professor of Medicinal Chemistry. He is the author or co-author of over 260 scientific publications and named co-inventor on over 160 US patents. Professor Ganellin has received international recognition as a medicinal chemist, including the Royal Society of Chemistry Award for Medicinal Chemistry (1977), their Tilden Medal and Lectureship (1982) and their Adrien Albert Medal and Lectureship (1999), Le Prix Charles Mentzer de France (1978), the ACS Division of Medicinal Chemistry Award (1980), the Society of Chemical Industry Messsel Medal (1988), the Society for Drug Research Award for Drug Discovery (1989), the Nauta Prize for Pharmacochemistry (2004) from the European Federation for Medicinal Chemistry, and the Pratesi Gold Medal from the Medicinal Chemistry Division of the Societa Chimica Italiana (2006). He has also been elected into the US National Inventors Hall of Fame (1990). He was elected as a Fellow of QMW College, London (1992) and awarded an Honorary DSc by Aston University in 1995. Fred Pearce was awarded a first class honours degree in Chemistry from UCL in 1967 and a PhD in Biological Chemistry (supervisors Derek Banthorpe and Charles Vernon) in 1971. His thesis was entitled "Some Studies on Nerve Growth Factor". Fred won numerous prizes at UCL culminating in the Ramsey Medal for the best PhD student of his year. He isolated, purified and characterized Nerve Growth Factor (NGF) from the venom of many different snakes and developed methods to isolate and culture chick sensory ganglia. Fred stayed at UCL and began his academic life as a Temporary Lecturer in 1973, followed by a post as Lecturer in 1975, Reader in 1985 and Professor in 1991. During this time he served not only those studying Chemistry (Departmental Tutor 1992-2000) but also the wider student body (Deputy Dean of Students 1996-2006) and his Faculty (Vice-Dean 1999-2000, Dean 2000-2006). His love for histamine and the mast cell began with a research visit to Aachen in 1976 to work with the late Wolfgang Schmutzler, who was a good friend of Charles Vernon. This visit sparked Fred's lasting interest in mast cell heterogeneity and mechanisms of mast cell activation and inactivation. Research Council funding followed and for 3 years Madeleine and he explored methods to isolate viable tissue mast cells. Two sabbaticals to McMaster University with John Bienenstock's group further developed his passion for mast cell heterogeneity and led to two papers on intestinal mast cells, which have been cited ca. 550 times. After taking up the post of Dean of the Faculty, his research output naturally decreased but he still receives about 60 citations per year. He has successfully trained 32 PhD students and many have stayed working in the area: Professor Kim Barrett is Dean of Graduate Studies at the University of California San Diego, Professor Alaster Lau is at the Chinese University of Hong Kong, Shamin Mustafa is an Assistant Professor at the University of Texas, San Antonio; Hydar Ali is an Associate Professor at the University of Pensylvania; Pete Peachell and Bernie Gibbs are Senior Lecturers in Sheffield and Kent respectively, Graham Mackay is a Lecturer at the University of Melbourne; Zeina Jaffar is a post-doc at the University of Montana. John White is Head of Biopharm Discovery US at GSK and Steve Liu is Director for the Allergy & Respiratory Therapeutic Area at Pfizer Global Research & Development. Fred's first EHRS meeting was in Paris (1976) and he helped organize the London meeting (1978) and the Brighton meeting (1983). He gave the GB West Memorial Lecture entitled "Mast Cell Heterogeneity" (1998, Lodz). Since 1976, Fred has attended almost every meeting. 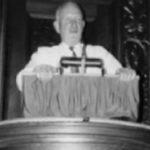 Fred was a member of the National Secretaries Committee and an elected Council Member. He regularly audits the society's accounts. He acted as Publications Secretary and Editor for the proceedings for many years; where he improved both the English and the science of the submitted manuscripts. Fred is one of the "wise old men" of the Society. Those who were privileged to work with him know that his door was always open; as he leant back in his seat, he would think carefully about your question and give you a considered and helpful answer. Members of the Society regard him similarly; - we need a poster judge rapidly - Fred will help out; there are problems with a manuscript - Fred will cast his eye over it. 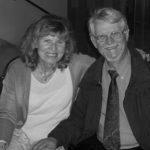 Fred Pearce is a great researcher, teacher, mentor and true friend of the EHRS and all it stands for. Helmut Haas grew up in the south-west corner of Germany. After naval military service he studied medicine in Basel, Switzerland and Freiburg, Germany, where he obtained his M.D. (1968) for a dissertation on aphasia. Then he worked in the Psychiatric and Neurological University- Clinics in Basel before taking a postdoctoral position in the Department of Pharmacology, Cambridge, England. This was followed by a number of years as head of the Neurophysiology-Laboratory in the Neurosurgery-Department Zürich and visiting Professorships on sleep research at Harvard-University in 1986 and 1989. In 1987 Helmut became Professor and Head of the Department of Biophysics at Johannes-Gutenberg-Universität Mainz, Germany; in 1991 he took the Chair of Neurophysiology at Heinrich-Heine-Universität Düsseldorf. In 1971 Helmut began to work on histamine in the brainstem. He has since devoted much of his scientific life to this fascinating field characterizing histamine actions in the brain (e.g. Nature 1975, 1983, Neuron 1993) and later the properties of histaminergic neurons in the tuberomamillary nucleus using mainly electrophysiological methods. He has published over 200 peer-reviewed papers and serves on the editorial boards of several journals. His research was financed by the National Institutions in Switzerland and Germany and the Human Frontiers Science Programme (network mechanisms of memory trace formation) as well as the European Community (Consortium “food, mood and sleep” on orexins). Helmut, besides being a regular attendee of our meetings, hosted the 33rd EHRS meeting in 2004 near Düsseldorf. He is now, retired but not tired, cooperating with his wife (Prof. Olga Sergeeva) on new challenges of the histaminergic system in the brain. Helmut truly deserves the accolade of being elected an Honorary Member of this society. 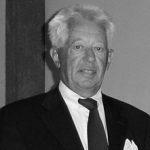 Professor Henk Timmerman (1937) obtained a M.Sc. in Chemistry at the Vrije Universiteit in Amsterdam in 1964, and then started his Ph.D. studies under the supervision of Prof. Dr. W. Th. Nauta in the department of Pharmacochemistry. It is clear from the title of his Ph.D. thesis “2-alkyl-1-orthoalkylphenyl cyclohexanols: synthesis and pharmacological investigations”, the department of Pharmacochemistry was already focused on organic synthesis, but also on the molecular mechanisms behind the potential biological activities of the prepared compounds. After his Ph.D. in 1967, Henk Timmerman joined Gist-Brocades (now part of Yamanouchi) and became head of Pharmacology and then from 1972-1979 their scientific director. In 1979, Henk Timmerman returned to academia and took over the department of Pharmacochemistry from his previous supervisor Prof. dr. Nauta. He held his position of professor in Pharmacochemistry until 2002 and is now, as emeritus professor, appointed as consultant for the department. During his academic career of almost 25 years, most of his research was in the area of histamine receptors and their ligands. It should be noted that in 2006, his 375 research papers (most of them in the area of histamine) still obtained 450 citations, indicating the impact of his work in this field. Henk Timmerman is regarded as one the leading medicinal chemists of his time in the histamine research area. His work resulted in many new pharmacological tools (amthamine, imetit, clobenpropit, immepip, immethridine, methimmepip), which were easily shared with the pharmacological community and allowed him to develop an extensive network of valuable scientific friends. At the same time, Henk Timmerman was also very interested in the molecular mechanisms of actions of the developed molecules. This is also well reflected in his publication record. One of his most cited papers details the inverse agonistic properties of histamine H2 receptor antagonists, which has been an important contribution to our present understanding of receptor antagonist action. Among many official representations, Henk Timmerman was member of the IUPHAR committee on histamine receptors, took the initiative to organize the first IUPHAR satellite meeting ‘New Perspective in Histamine Research’ in Noorwijkerhout in 1990 and hosted the 32nd annual meeting of the European Histamine Research Society in Amsterdam in 2003. Besides a scientist with impact, he is also a great mentor for numerous Ph.D. and master students. At this moment three of his former students have been appointed as professor and many of his Ph.D. students are currently employed in international pharmaceutical industry. Jean regularly accompanied her husband, Geoff to the EHRS meetings and with her quiet efficiency she worked behind the scenes to ensure the smooth running of many a meeting. In brief, Jean generally "looked after everybody" and as Geoff was surely the Father Figure of the Society, Jean was its Mother Figure. When suitcases didn't turn up, Jean rushed round asking people to help. If the participants were leaving early in the morning, Jean ensured that everybody was there and arranged for the sleepyheads to be called! Jean received the Honorary Membership of the EHRS for her invaluable and irreplaceable support of the Society over very many years. Madeleine Ennis was awarded a B.Sc. in Chemistry from UCL in 1974 and a PhD in Biological Chemistry (supervisor Charles Vernon) in 1978. Her thesis was entitled "Some Studies on Nerve Growth Factor and its Antiserum" and provided important information about the mechanism of immunosympathectomy. She then spent three years carrying out postdoctoral work with Fred Pearce and together they established the mast cell group in the Chemistry Department at UCL. Her main interests were "Calcium and Histamine Release" and "Mast Cell Heterogeneity". This was a most productive period and resulted in twenty five publications, one of which became a mini-citation classic and another an EHRS Milestone Paper. Madeleine then spent two years in the Department of Clinical Pharmacology at the Royal Postgraduate Medical School in Hammersmith before joining Wilfried Lorenz in the Institute for Theoretical Surgery in Marburg. Her main interest in Marburg was "Adverse Allergic and Pseudoallergic Drug Reactions". This period in Germany consolidated Madeleine's scientific reputation and she moved in 1989 to a lectureship in Clinical Biochemistry at Queen's University, Belfast. Thereafter, she was rapidly promoted to Senior Lecturer in 1996 and to Professor of Immunopharmacology in 1999. Madeleine's current research interests span the role of infection, inflammation and inflammatory markers in all of the major, non-malignant lung diseases. Madeleine consolidated these interests by founding the Respiratory Research Group at Queen's and she is now Director of the Respiratory Medicine Research Cluster and widely recognised as one of the United Kingdom's leading experts in the pathogenesis of respiratory disease. She has supervised a huge number of research students all of whom hold her in universal affection. She also carried out some rigorous research into the basis of homeopathy which attracted enormous publicity and led to an appearance on the BBC television programme "Horizon". Madeleine has also found time to serve on the Women's Forum Committee at Queen's and to chair the Mentoring Sub-Group of that Committee. She is the Mentoring Champion at the University. This is a hugely important initiative designed to promote equality of opportunity for women in academic life and contributed to the granting to Queen's of the Athena Silver SWAN award for excellence in Science, Engineering and Technology employment in Higher Education. Madeleine has given fantastic formal service to the EHRS. She has served on its Council and acted as a Member of the Organising Committees for its meetings for many years. She has acted as Publications Secretary and Editor for the proceedings. 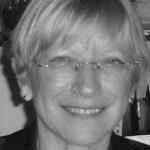 Most importantly, Madeleine was elected President of the EHRS in Lyon in 1999 and served until 2006. She brought great charisma to the role and also did wonders to modernise and raise the profile of the Society. Professor Mannaioni or Piero as we all know him, graduated in Medicine in 1959 at Florence University, and during his training developed an interest in pharmacology, cardiology and clinical toxicology. In 1959, he received a post-graduate degree in Cardiology and Rheumatology. He then joined the Institute of Pharmacology and Toxicology, now Department of Preclinical and Clinical Pharmacology, as Assistant Professor in 1961, as Professor of Toxicology in the Medical School in 1967 and Full Professor of Toxicology in 1974. He was awarded the first Chair in Toxicology in Italy. During his post-doctoral training, he received a number of fellowships for pharmacological research and was a visiting scientist at Yale University Medical School, where he became interested in mast cell histamine. Returning to Florence, he continued his research on mast cell histamine and on cardiac anaphylaxis. Professor Mannaioni has been a pioneer in the field of cardiac histamine, suggesting over 30 years ago, its involvement in myocardial diseases, such as arrhythmias, angina and myocardial infarction. He has also been interested in mast cell histamine release induced by cholinergic stimulation or by free radicals and the interactions between histamine, nitric oxide and carbon monoxide. He joined this society in 1972 and has played a very active role here; National and General Secretary for twelve years, and hosted the EHRS meeting in Florence (1975 and 1982). Besides his research in the field of histamine, he has always been committed to the development of medical toxicology as a primary science and he was the head of the Clinical Toxicological Unit in Florence, until 2002. This unit is universally recognized as a reference clinical structure for the treatment of acute and chronic intoxication. 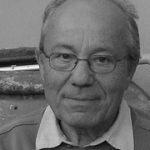 He is author of about 200 international papers, of several books and many scientific and publications in Italian. 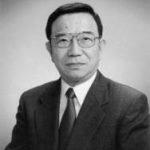 Professor Watanabe graduated from Osaka University in 1963 and obtained his MD in the following year. He then undertook a PhD in biochemistry and on obtaining his postgraduate award in 1968 he became Assistant Professor at Osaka University. He went to work in America with Professor Esmond Snell at the University of California, Berkley from 1970-72 and then at the National Institute of Health with Dr Martin Flavin until 1974. On returning to Japan, he was made Assistant and then Associate Professor in Pharmacology at Osaka University. Here he worked with Dr. H. Wada on various aspects of histamine research. In 1985 he was Professor of Pharmacology at Tohoku University School of Medicine and then Professor Emeritus on his retirement in 2002. Professor Watanabe has published over 300 papers, was the co-editor on 2 important histamine books: 'Histaminergic Neurons; Morphology and Function' in 1991 and 'Histamine Research in the New Millennium' in 2001. His major contributions to histamine research have been the immunohistochemical identification of histamine neurons in the hypothalamus using an antibody specific for histidine decarboxylase, the use of positron Emission Tomography studies on the histaminergic neuron system and the development of Histamine-related Genes Knockout mice. He organized 2 highly successful international meetings on histamine research. The oration for Professor Fogel was given by one of our Honorary Members, Professor Wilfred Lorenz of Germany. Professor Lorenz first visited Lodz when Agnieszka’s late husband Czeslaw Maslinski organised the Satellite Symposium of the 25th International Congress of the Physiological Sciences in August 1971. It was a very hot summer that year and many of the delegates reached Lodz by train, hot, thirsty and exhausted but only a very meagre breakfast was given to them. Those participants from Western Europe had forgotten about the conditions which existed in Eastern Europe. However, Czeslaw managed to overcome the system by bringing various fluids which contained the excellent Polish liqueurs. This meeting was very important as the outcome of this symposium was the ‘Histamine Club’ with principal researchers in the histamine field being part of it. However it was clear that the delegates wanted to create their own new society which subsequently became our European Histamine Research Society which is celebrating its 42nd meeting again in Lodz. Counting the Histamine Club meeting, this current meeting makes the fourth time we have met in Lodz. Wilfried later visited Lodz many times and had a wonderful meal of duck and freshly collected mushrooms at the home of Czeslaw and Agnieszka. Agnieszka’s first attendance at the EHRS was the London meeting in 1977 and she and her researchers have been constant participants at our meetings ever since. Due to the high concentration of histaminologists in Poland, Czeslaw started the Polish Histamine Club. When the society became the Polish Histamine Research Society (1989), Agnieszka was one of the co-founders and acted as General Secretary 1989-1998 and was elected President in 1999. After receiving a prestigious fellowship from the Humboldt Foundation, Agnieszka was the Secretary of the Lodz District (1989-94) and President of the Lodz District/Region (1995-2003, 2010-now) and has been a Council Member of the Societas Humboldtiana Polonorum from 2003 to present day. In fact it was also apt for Wilfried Lorenz to give the oration as Agnieszka had spent her Humboldt fellowship in his laboratory. She has published in total about 100 full papers on histamine metabolism in relation to some clinical disturbances such as dementia and Parkinsonism. 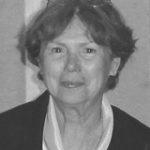 Thus Agnieszka has been associated with the EHRS for a long time and as she was the wife of the founder of the society, Czeslaw Maslinski, she can be thought as the ‘mother’ of the society and rightly deserves being elected an Honorary Member of the European Histamine Research Society. Zsuzsanna Huszti, of the famous Semmelweis University in Budapest, Hungary, was born on the 16th of March 1936 in Szeged.. In 1954 she entered the University of Szeged in the faculty of Natural Sciences where she studied chemistry. After getting her diploma in chemistry 1959, she worked as a research assistant at the Central Research Laboratory of the Szent-Györgyi Albert Medical School in Szeged. In 1962, Zsuzsanna started her doctorate work in biochemistry at the Eötvös József University, Budapest. At that time she also had a position as clinical chemist in the Central Hospital, Gyula, and as a research assistant at the Department of Pharmacology in the Drug Research Institute, Budapest. From 1971 to 1981 she was head of the Radioactive Laboratory at the Department of Biochemistry, Drug Research Institute, Budapest. From 1997 she became the head of the Neurobiobiology Unit in the Department of Pharmacodynamics, Semmelweis University of Medicine, Budapest. Although her first publication was in 1963, her first one on histamine was in 1967 and her Ph.D. thesis (1972) was entitled “Heterogeneity of monoamine oxidase in rat brain”. This was followed by postdoctoral position in the Department of Neurobiology, at McGill University, Montreal, Canada working with Professor Theodore L. Sourkes. This resulted in a fruitful collaboration and many papers about histidine metabolism. In 1994 Zsuzsanna produced a second thesis; this time for Doctor of Biological Science degree. This thesis was entitled “Histamine in the nervous system: regulation of histamine synthesis and function in the brain”. She has published over 75 publications; most are concerned with histamine. 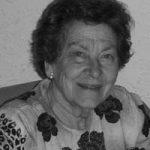 She was a member of several scientific societies, namely the Hungarian Society of Biochemistry, International Society for Neurochemistry (ISN), Hungarian Pharmacological Society, European Society for Neurochemistry (ESN), International Brain Research (IBRO) and New York Academy of Sciences plus our society. Zsuszanna Huszti has had a long standing connection with the EHRS. She was invited by Professor Maslinski, who had read her articles, to the very first informal meeting of the ‘Histamine Club’ held in Lodz, Poland 1971. After this meeting she has visited 36 EHRS meetings in total. She was the EHRS National Secretary for Hungary from 1972-2000. She gave an EHRS Invited Lecturer at the meeting in Eger (2004) with the title: Histamine uptake by non-neuronal cells of the brain: properties and function. She brilliantly organized two unforgettable EHRS meetings in Hungary, the IXth EHRS Meeting 1980 in Visegrad and the XXIIIrd EHRS Meeting 1994 in Budapest. Many pictures from the different EHRS meeting can be seen under Previous Meetings on our website www.EHRS.org.uk. Zsuzsanna Huszti has for many years been devoted to our society, interested in science and young researchers and always is putting interesting questions to the speakers at our meetings. So with this it is a great honour to present the EHRS Honourary Membership to Zsuzsanna Huszti. Börje was born on 20 June 1913. He studied medicine at the University of Lund, Sweden in the 1930s. Several years later Georg Kahlson invited him to join the physiology department of the University of Lund and he worked there for nearly 15 years. In 1942, he discovered that on stimulating the vagus nerve, a substance was released into the blood, which caused gastric secretion. This was a landmark in gastroenterology. It was many years later, after the development of radioimmunoassay (RIA), before this substance (gastrin) was finally identified. After the second World War, Börje went to the United States of America to continue working on gastric physiology with Professor Ivy of Northwestern University in Chicago. He had no laboratory assistant and so his wife worked as his technician! It was here that he met C. A. Dragstedt, a pharmacologist who was well known for his work on the role of histamine in anaphylactic reactions, and Börje started his interest in this biogenic amine. A year later, Börje returned to Sweden and continued his vasodilator research, using the techniques which he had learnt in America. Soon after he was appointed to the new chair in physiology at Lund University, he moved to the chair in pharmacology at the Karolinska Institute, Stockholm. Here over the years, he built up a large and thriving department. One of the areas of research in this department was histamine, in particular the mechanism by which mast cells degranulate and then the mechanism of histamine storage and release from mast cell granules. In the early 1960s, Börje organised an international symposium on the 'Modes of action of drugs' and this was the start of a series of international pharmacological congresses and was a strong impetus to the development of pharmacology. It also led to the formation of the International Union of Pharmacologists (IUPHAR) with the first World Congress of Pharmacology in 1961 being headed by Börje in Stockholm. Even though Börje was officially retired, this did not stop his interest in pharmacology and in particular in histamine. He was a constant supporter of the EHRS and regularly attended our meetings. He could always be found giving supportive advice to the younger presenters. He did not lose the thirst for his science until his death on 5 November 2003, and it is still a continual stimulus to us all. Born on 19th May 1921, Czeslaw graduated from the School of Medicine in Lodz and then became an assistant in the Department of Pathophysiology. Thereafter, he became senior assistant in the Department of General Pathophysiology at the School of Medicine in Warsaw. In 1953, he became the Deputy Secretary of the Committee of Medical Sciences of the Polish Academy of Sciences. In 1956, he became Head of the Section of Pathophysiology in the Polish Academy of Sciences, where he became Assistant and in 1959 Associate Professor. In 1964, he became Extraordinary Professor in Pathophysiology and in 1970 Ordinary Professor in Pathophysiology at the Institute of Biogenic Amines of the Polish Academy of Sciences in Lodz, where he was Chairman until 1991. In 1971, he organised a Histamine Satellite Meeting in Lodz, which was the first informal meeting that provided the foundation for our Society. He has had a very active and successful research career and has published over 200 papers. He was awarded the prize of the Scientific Secretary of the Polish Academy of Sciences three times and once that of the Polish Ministry of Health. His important contributions to the development of Polish Science were recognised by the award of the Medal 25 years of the Polish Academy of Sciences. In 1995, he received the Nicolaus Copernicus Medal, the highest award of the Polish Academy of Sciences, for his outstanding scientific achievements. He died on 11th July 2002. Prof. dr. Franc Erjavec was born in 1925 in Ljubljana, Slovenia where he received an M.D. from the University of Ljubljana in 1952. After graduation he joined a newly established Department of Pharmacology at the Medical School in Ljubljana. In 1972 he became Professor of Pharmacology and Head of the Department of Pharmacology which he led until 1995. He received a number of fellowships during his pre and postdoctoral training and used them to study at various institutes and universities (Vienna and Graz, Austria; Paris and Nancy, France; Bethesda, USA). It was during this time that he became interested in histamine research, in particular the existence of non-mast cell histamine, histamine metabolism, where he introduced new isotopic techniques, and the role of histamine in exocrine secretion. On returning to Ljubljana, he continued researching on histamine with the younger members of the Department of Pharmacology, enabling their research on histamine to become internationally recognized. He has published work on histamine storage and release from isolated mast cells and its modulation by many drugs, metabolism of histamine, the role of histamine in gastric secretion, and histamine receptors. In 1978 at the invitation of Professor Maslinski, he joined the EHRS (known at that time as the Histamine Club). In 1983 he organised the EHRS meeting in Bled, Slovenia. He died on 13th August 2004. Geoff West was born on 13th September 1916. 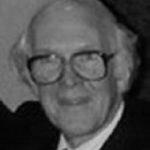 His long and distinguished career started in 1938 in London with his degree in Pharmacy. After his Ph.D. he then moved to Edinburgh and then to Dundee where in 1952 he established with J.F.Riley that tissue mast cells were a main storage site of histamine. This discovery laid the foundation for an understanding of allergic and inflammatory disease. He was awarded the D.Sc. (University of London) in 1954 and won the Annual Biology prize of the New York Academy of Science in 1964. After working for the British Industrial Biological Research Association (BIBRA), in 1970 Geoff went to the Polytechnic of North East London, now the University of East London, where he established a flourishing research group. On retiring in 1982, Geoff became the Polytechnic's first Honorary Research Fellow and continued to add to more than 350 research papers. 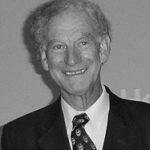 Geoff West was our Secretary-General for more than 10 years. His attitude to the meetings epitomised his approach to life and to science. He was compassionate to the young investigator giving his or her first presentation and constructively critical of the more experienced. He was full of zest and enthusiasm and had the rare gift of being able to communicate this to others, both at the scientific sessions and as Master of Ceremonies at the Society's Social Functions. Everyone was much saddened by his death on 5th December 1990. Ingrid Olhagen -Uvnäs was born on the 13th of March 1925 in Norrköping, Sweden. After education at a Commercial College, she went to the United States for some years of training and later to France. She worked for SAS the Scandinavian Airway Company for 32 years mostly based at Arlanda Airport. She was appointed among the first group of female traffic assistants – which used to be a male only position. She became chief ground hostess with a staff of several hundreds of people and ended up as Personal Manager before retiring. Ingrid and Börje Uvnäs met in 1963 through a relative of Ingrid – Börje Olhagen who was Professor of Rheumatology in Stockholm. It was not love at first sight, indeed she found him rather annoying! However, love blossomed and Ingrid accompanied her husband Professor Börje Uvnäs to many meetings in many countries throughout the world. The first meeting of the Histamine Club (the forerunner of the European Histamine Research Society) was in Paris in 1972. Börje was at that very first meeting and attended all meetings since until his last meeting in Amsterdam 2003. Ingrid has accompanied Börje to all meetings except in 1990 which was held at Kuopio, Finland. This means, she has attended 34 meetings of the 35 annual meetings of the EHRS and so she must be one of the record holders for number of meetings attended. Ingrid has always played a prominent role in the partner’s programme of the EHRS meetings. Ingrid’s friendliness and charm meant that all newcomers especially those in the partner programme felt part of the “histamine family”. However, Ingrid was always also Börje’s confidant and he told her when the meetings met his high scientific standards or not. After the meetings were over, Börje often wrote to the President of the Society to say what he thought about the meeting organisation and science. After his death, Ingrid took up the role, even though she had to rely on what others told her about the science. In one meeting –when Börje was to dress for dinner he could not find his shoes but only two different styles of black shoes – one of each of two different pairs of shoes. There was a big fuss and the room maid tried to find the right shoe and the manager even offered to buy new ones. Ingrid then asked Börje - “Could it possibly be that you have packed only one of each kind?” Well he had to use two different black shoes during the dinners for the whole meeting and from then on Ingrid always packed his bags. In contrast to her somewhat absent minded husband (well only with respect to clothing! ), Ingrid is always dressed with great care and attention. Her appearance is at odds with her date of birth! Perhaps hard-work, she still works on her and Börje’s farm, does keep you young! Ingrid is an excellent organizer and always gets things done. She supported and helped Börje in so many different ways and this became even more evident during the last meetings. As he became increasingly frail, Ingrid made sure that he arrived safely at the meeting, with all the correct luggage and that he also took some rest when he needed it. We all owe Ingrid a great deal because of her ways and her support of Börje. She helped Börje Uvnäs retain his role as a major player in our society until his death. We are delighted that her love for the society means that she still comes regularly to our meetings. Jack Green graduated first in Pharmacology and then in medicine at Yale University, USA. He has been Professor of Pharmacology in a number of US Universities (Yale, Cornell, Mount Sinai Medical School) as well as spending sabbatical terms at the Polytechnic Institute of Copenhagen and the Institute of Physical Chemical Biology in Paris. Jack has been a pioneer in the field of histamine as a neuromodulator in the brain. In fact, he suggested this over 20 years ago when he demonstrated the presence of histamine in brain synaptosomes. In addition to the role of histamine in the brain, Jack has also been interested in other central neurotransmitters, such as acetylcholine and 5-hydroxytryptamine, as well the hallucinogenic drugs. Jack Peter Green died on the 7th of February 2007. Jim graduated in Medicine with commendation from the University of St Andrews (Scotland) in 1946 and then spent 12 years in academic physiology successively at the Universities of St Andrews, Malaya and Glasgow. Jim has worked in histamine research for over 40 years and the discovery of the different adrenaline ß-receptors suggested to him that histamine must also have more than one receptor. After working at ICI (1958-64), he moved as Head of Biological Research to SmithKline & French to pursue the search for a new histamine antagonist to sort out the relationship between histamine and gastrin in the stomach. In 1972, his famous Nature paper appeared announcing the second population of the histamine receptor (H2). In 1973, Jim moved to University College London (UCL) to become Head of the Department of Pharmacology. Together with Professor Charles Vernon, he developed the new medicinal chemistry degree, which has provided the histamine field with so many able researchers. In 1978, he moved to Wellcome Research as Director of Therapeutic Research. 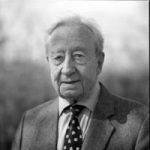 He returned to academia in 1984 when he went to Kings College London as Professor of Analytical Pharmacology and then to found the Sir James Black Foundation as an independent research institute for promoting the rational basis for new drug research. Sir James has made an enormous and highly rigorous scientific contribution to the histamine field for which he has received too many honours for me to list them in their entirety. Sir James was knighted in 1981, received the Nobel Prize for Medicine in 1988, has been Chancellor of the University of Dundee since 1992 and has 17 honorary degrees. He has received many medals for his work including the Gold Medal (The Royal Society of Medicine), the Wellcome Gold medal (British Pharmacological Society) and the Golden Medal - Medicus Magnus (Polish Academy of Medcine). Sir James Black died on 22nd of March 2010. Prof. Dr rer. nat. Dr. med. Dr. h.c. Walter Schunack studied Pharmacy and Medicine in Germany and was awarded his PhD in Mainz in 1964 and his MD in Marburg in 1978. During his Habilitation (Qualification for Lecturing; DSc) in the field of Medicinal Chemistry, he had already undertaken pioneering work on novel histamine derivatives and analogues together with their pharmacological evaluation. In 1971, he was appointed as Professor of Medicinal Chemistry in Mainz and in 1984 he became Full Professor of Medicinal Chemistry at the Institute of Pharmacy of the Freie Universität Berlin, a post which he held until his retirement in 2003. In addition to his research work, he has been Dean of the Faculty as well as Vice-President of the University and he has shown a strong involvement in the advancement of the German academic Pharmacy education program. He supervised more than 75 PhD theses and 5 Habilitations and has been awarded numerous honours for his work. Among other distinctions he received the French Prix Charles Mentzer of the Société de Chimie Thérapeutique (1992), the Carl-Mannich-Medal of the German Pharmaceutical Society (1997), the Distinguished Service Cross 1. Class of the Federal Republic of Germany (2002) and was elected as Honorary Member of the Polish Histamine Research Society (2006). In 1998 he received his third doctoral degree (Dr. honoris causa) of the Université René Descartes, Sorbonne V, Paris, France. He is very well known in the EHRS for his abundant contributions of potent and selective ligands of different histamine receptor subtypes. He has developed several agonists (e.g., the histaprodifen-family (H1), sopromidine (H2), R-α-methylhistamine (H3)), antagonists (e.g., ciproxifan, and BF2.649 (H3)), radioligands (e. g., [125I]iodoaminopotentidine (H2), and [125I]iodoproxyfan (H3)), as well as many other histamine receptor modulating drugs with different properties (e.g., pro-drugs (BP2.94), protean ligands (proxyfan), hybrid compounds) used nowadays in many laboratories throughout the world. This has led to more than 400 international publications and many congress invitations as he is an excellent lecturer. Walter is a passionate histamine researcher with numerous co-operations all over the world, but especially within the community of the EHRS. Walter Gunnar Schunack died on 6th of April 2011. 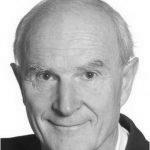 Prof. Lorenz or Wilfried as he is known to all of us, was born in 1939. He studied medicine at the universities of Würzburg, Tübingen and Müchen and obtained his MD in 1966 for a thesis entitled 'Histamine and histidine decarboxylase in the central nervous system and in the upper gastrointestinal tract'. In 1969, he was awarded his "Habilitation" in Clinical Chemistry with a dissertation on 'Localisation, metabolism and question of a physiological function of histamine in salivary glands, thyroid and gastric mucosa'. He then obtained a Chair at the Philipps University of Marburg where he stayed until his retirement in 2004. Wilfried has published over 1000 papers, mostly in English but also in German, French and Spanish; including 5 citation classics for his work in the field of histamine. He supervised over 100 MD theses and 34 Habilitations and has been awarded numerous honours for his work. He received the "Großes Verdienstkreuz des Verdienstordens der Bundesrepublik Deutschland" in 2005. It is one of the highest German honours and he received it because of his outstanding research as one of the most important German scientists, and his work on Theoretical Surgery, the Quality of Life in Medical Decision Making and Clinical Guidelines. Wilfried has been a member of the histamine family (first the Histamine Club but later renamed the European Histamine Research Society) since the first informal meeting in Lodz (1971). He attended the first formal meeting in Paris (1972) and has twice hosted the meeting in Marburg (1973, 1991). When you met Wilfried, you can not help being impressed by his enthusiasm, knowledge and love for the subject. He is a hard-working but fun-loving man who cares passionately for his subject and for the development of his co-workers. Wolfgang started his academic career in Heidelberg in 1957 when he was awarded the degree of Doctor of Medicine with a physiology thesis entitled ’Sense of temperature and temperature regulation’. After 2 years as a clinical assistant, he moved first to Düsseldorf and then to Frieburg to work with Fritz Hahn, who was one of the pioneers of Immunopharmacology. Wolfgang studied the role of histamine in anaphylaxis and the mechanism and kinetics of anaphylatoxin in guinea-pigs. In 1952, he discovered the release of diamine oxidase or histaminase by heparin and other polyelectrolytes in the guinea-pig. He traced the source of this diamine oxidase to the microsomal fraction of the liver. In 1966, Wolfgang obtained the degree of lecturer in Pharmacology and Toxicology at Frieburg University with a thesis on ‘Histaminase Liberation’. Then, the following year, he came to work with Professor Charles Vernon and his research group at University College London, to learn some techniques of protein chemistry. Whilst at UCL, Wolfgang worked with Professor Shawn Doonan on threonine dehydrogenase from the liver of sheep. In 1969, Wolfgang Schmutzler moved to the University of Aachen, initially as a senior lecturer and then two years later as Professor of Pharmacology and Toxicology, a position that he held until his retirement a few years ago. Wolfgang’s contribution to Immunopharmacology has been immense. In addition to the works that I have briefly summarised, he developed the human mast cell as a model for the study of antiallergic drugs and pseudoallergic agents and most recently he became interested in the role of the macrophage in allergic reactions. This latter topic formed part of the millennium Geoff West Memorial Lecture “Mast cell and non-mast cell histamine” that Wolfgang gave at Geoff’s academic home at the University of East London. Wolfgang’s contribution to our Society has been equally immense. He has attended virtually every meeting since its inception, he organised a wonderful congress in Aachen in 1985, and most recently he has acted as our Treasurer during which tenure he has overseen the formal European recognition of the Society. Wolfgang Schmutzler died on the 5th of November 2007.